Meet the people at the head of the school and learn about the experience and passion they bring to WRCA. David Michel comes to WRCA with experience as an educator and administrator for over thirty-five years. He was the founding head of school of Sekolah Pelita Harapan (SPH) International – Kemang Village. The school is located in the southern part of Jakarta city, and is one of several campuses that provide independent Christian education for both National Indonesian and Expatriate students from Kindergarten to Grade 12. In just over five years, David grew the IB World school from 100 to over 600 students. David brings local understanding and international experience to our school. Prior to working in Indonesia, he worked for nine years as a music teacher, and twenty-four years as an administrator in School District No. 35 (Langley), including two years as Director of Schools, eight years as Principal of Langley Secondary School, and five and a half years as Principal of R.E. Mountain Secondary, an IB World School. His experience as former Chair of the International Baccalaureate Diploma Program Committee gives WRCA strong leadership as the school works to become a World IB Continuum school. WRCA will be the only Christian School in North America offering this program for all students. Today he holds many leadership roles in various organizations and has an expansive network of local and international contacts. David’s vision for students at WRCA is based on cultivating a culture rooted in Christian values, and he strongly believes ‘all students deserve a quality education’. He is committed to the belief that WRCA must reflect an emphasis on student learning where all decisions are based on developing a graduate prepared to meet many future challenges. As a committed Christian, he is excited about being part of a well-established and well-respected independent Christian school with strong Christian values, and his own beliefs are consistent with the core purpose and values of White Rock Christian Academy. David graduated with a Bachelor of Music from the University of British Columbia and holds a Masters of Education from Simon Fraser University. 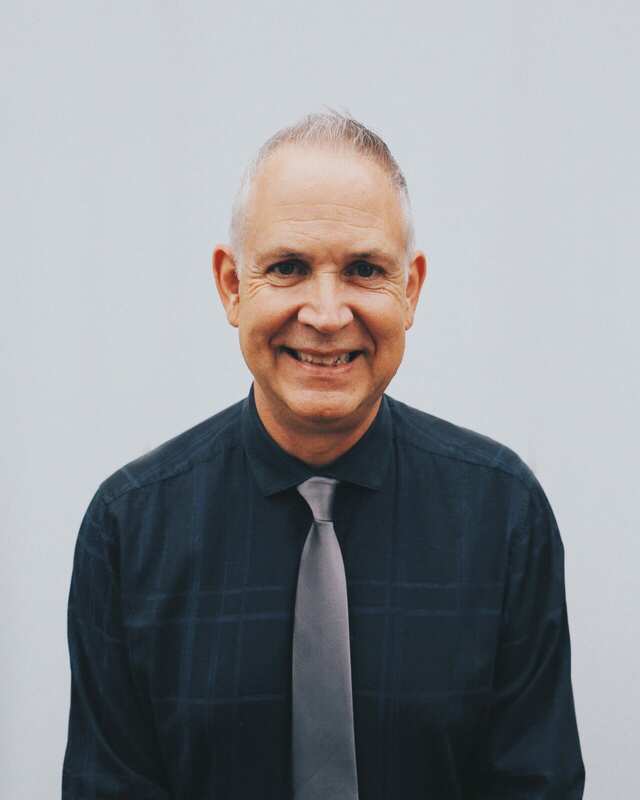 He is a lifelong member of the Salvation Army, has been actively involved in music ministry and mission projects throughout the world, including establishing ‘Teachers for Indonesia’, a project supporting education in that country. He is married to Nancy and has four married children and seven grandchildren. Joel brings 19 years of teaching and leadership experience to WRCA. He is a graduate of Calvin College with a Professional Elementary Teaching certificate in general science. He obtained his Master of Education degree in Educational Leadership and Administrator Certificate from Grand Valley State University. Prior to his appointment at WRCA, Joel taught in elementary schools in the USA and Ontario. He spent many years leading an Environmental Science magnet school as the Environmental Science Specialist in Michigan. Joel has been a school administrator for the last ten years. He served as the Principal of Jarvis Christian School and Rhema Christian School, both in Ontario, Canada, before joining our team at WRCA. 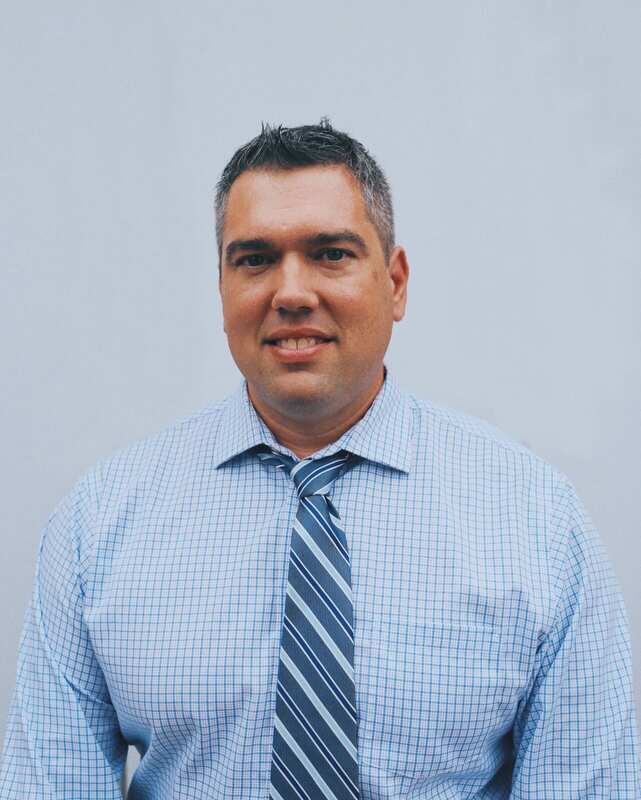 Joel is a strategic thinker and is proven to lead new initiatives to fulfillment. In his role as the Principal at Jarvis Christian School, a K-8 school with 130 students, Joel led the school through the School Quality Assurance Program (SQAP) process. Leadership development is also a passion. In his role as Principal at Rhema Christian, a JK-8 School, Joel introduced a leadership theme based on the “7 Habits of Highly Effective People” by Stephen Covey. He also introduced project based learning and restorative practices to his staff. Joel continues to seek opportunities in leadership and is currently serving on the board for the Christian Principals Association of British Columbia. 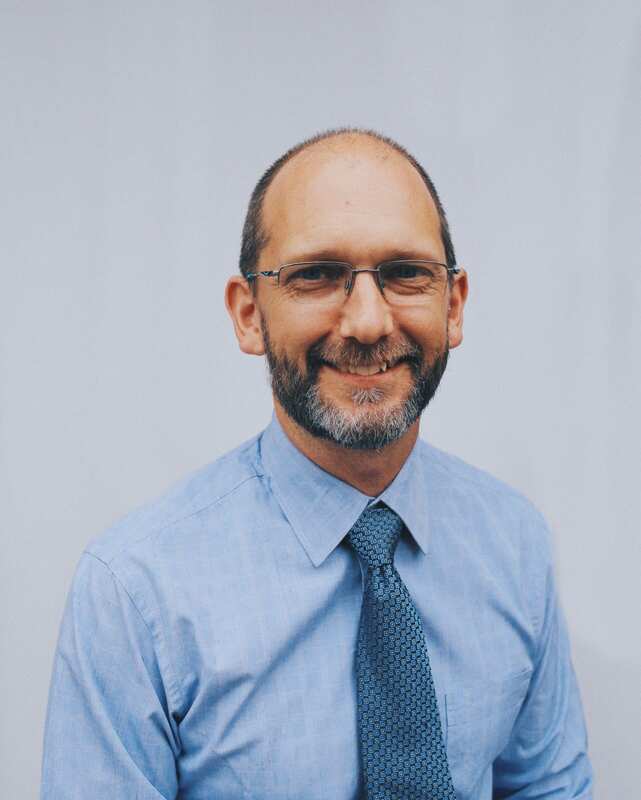 As WRCA moved towards becoming a World IB continuum School offering the PYP and MYP in addition to the DP programmes, Joel has been trained as the PYP Coordinator and IB Administrator. Joel went into education because of his love for sharing the wonders of the Lord with students. He is an upbeat individual who seeks opportunities to grow as a leader and to continue to be a lifelong learner. He loves the outdoors and many will find him backpacking, fishing, canoeing, mountain biking and camping. He is married to Marsha and has two sons and a daughter who attend White Rock Christian Academy. Tris brings over 24 years of teaching and leadership experience to WRCA. Educated at the University of British Columbia (UBC) with a BA in Science, and his Bachelors of Education, his career began as a secondary school teacher teaching science and math in Langley BC. Tris is an innovative and creative thinker. In his role as a secondary school teacher he developed and implemented various initiatives that moved programs forward. Some highlights include developing an innovative honors science program at the grade 11 level incorporating Physics 11, Chemistry 11 and Mathematics 11. Tris has a Master’s of Educational Technology at UBC, and with that, his career took him to Indonesia to an International Baclaureate (IB) World School. The past 8 years Tris has been teaching and leading at Sekolah Pelita Harapan International – Lippo Village, a Christian K-12 Private School in Jakarta. As the DP coordinator at Lippo Village, he implemented all aspects of a Diploma program involving 30 teachers and over 200 students; Coordinated Extended Essays for all year 11 Diploma students and collaborated with the Academic Principal and MYP Coordinator in providing pedagogical leadership for Senior School including developing and implementing a long term professional development strategy. Tris developed a K-12 science curriculum to prepare students for IB Diploma program (DP) and provided a series of science workshops for PYP teachers to aid in curriculum adoption. He also continued to teach IB DP Physics HL, Chemistry HL, Mathematics SL, Theory Of Knowledge and supervised a variety of Extended Essays. Tris is committed to furthering IB capabilities in the community, and has lead a very successful 2012 IB Indonesian Teacher Network conferences with over 600 participants. He is the ACSI/WASC/IBO Accreditation and Self-Study steering committee chair. He is also an IBEN Educator serving as a school visit team member in programme verification and evaluation visits, representing IB for IBO DP authorization process. Tris also has a serving heart and actively serves in his community. Tris is the co-leader of a volunteer team that works with economic orphans on a weekly basis. In the past he led a humanitarian team of 10 to Mexico, prepared and led teacher training seminars on best practices for African nationals and member of a leadership team responsible for the oversight of a multi-site church. Tris is married to Kim and they have two children, a son and a daughter. His daughter is a recent graduate with an IB DP diploma.